Canadian Centre for Materials in Construction (CCMC) each with a unique set of design values. In order to obtain approval, the plates are tested in accordance with CSA Standard S347-M1980 Method of Test for Evaluation of Truss Plates Used in Lumber Joints. 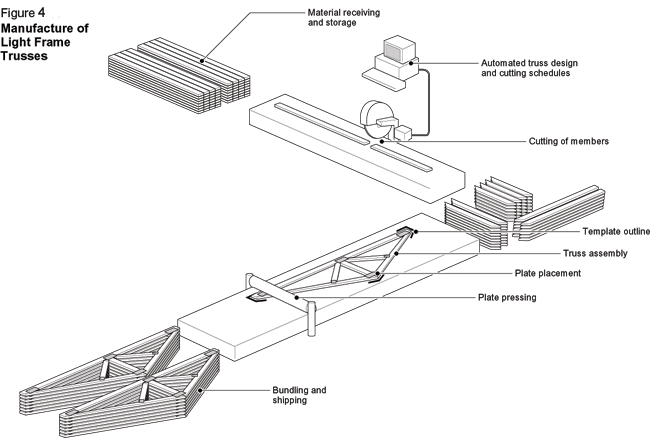 The computer design of light frame trusses results in the generation of fabrication instructions that indicate the precise cutting patterns for each of the members and the type, size, and location of connector plates required. 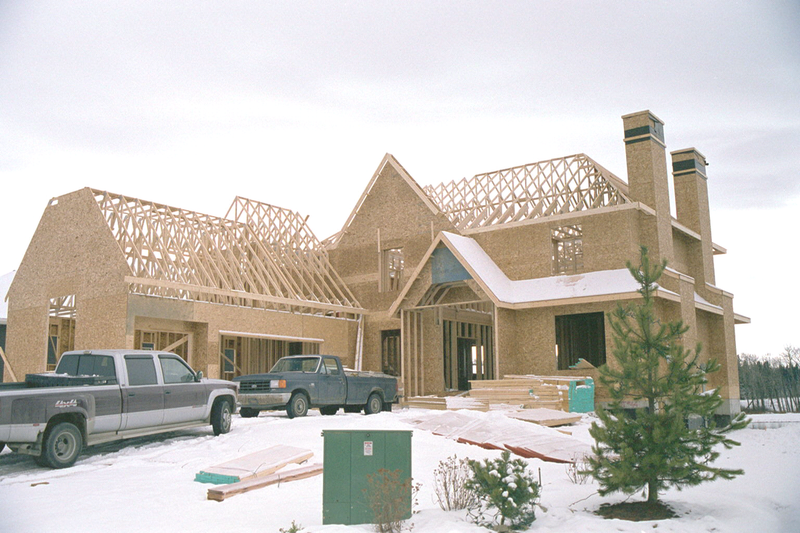 A layout template is made for each configuration to ensure that like trusses are identical in dimension. The member pieces are cut to correct dimension and assembled in the template, which is located on a floor, truss jig, or heavy table. When the pressing of the plates has been completed, the trusses are checked for dimensions, wood to wood gaps, lumber size and species, plate size, positioning and embedment and moved to a storage area. In some cases plants have a quality control program that ensures consistency in production and quality in place of checking each truss. The completed trusses are then strapped together and placed in the storage yard in preparation for shipping. ​For more details on the design responsibilities of the truss designer and the building designer consult the TPIC design procedures page iii. Typically, the building designer or builder will contract with the truss fabricator, who will supply a truss layout and a structural design of each significant element of the roof system. The truss plate manufacturer's engineer usually reviews and seals the individual truss designs on behalf of the truss fabricator. -Structural analogues and methodology have been developed and standardized by National Associations such as TPIC in Canada and TPI in the United States who represent the manufacturers of metal plate connectors. -Lumber design values for use in Canada are published by Canadian StandardsAssociation (CSA 086-Engineering Design in Wood). -Truss connector plates are proprietary and therefore come with different structural properties. Design values for truss plates are developed through tests and analyses in accordance with referenced standards. Approval of the design values is overseen by national certification organizations such as the Canadian Construction Materials Centre (CCMC). 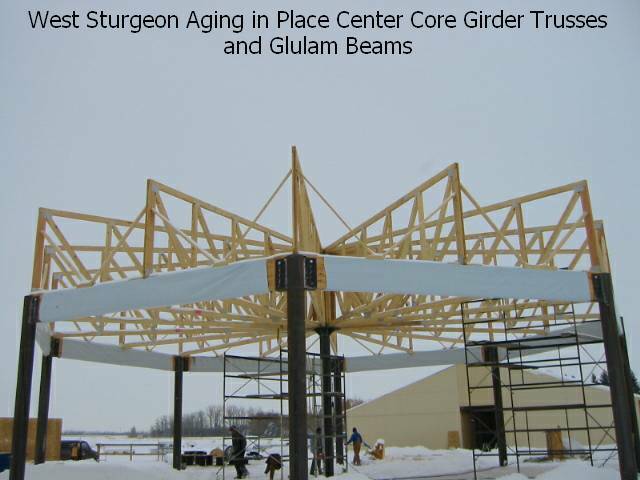 Preliminary discussion of a design with a truss fabricator may result in suggestions leading to the most efficient and the most cost effective design. Truss design is facilitated by the use of computer software that designs all members, connections and produces a design drawing for an engineer's approval and also shop drawings and cutting lists for manufacturing and quality control. 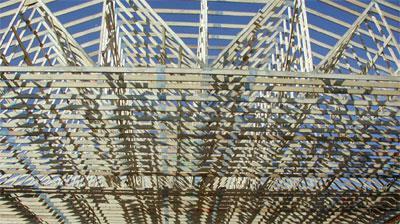 The approval and acceptance process of truss design drawings depends on local requirements. In most jurisdictions, a professional engineer's stamp on the truss design drawing may be compulsory. In other cases alternate procedures may be acceptable.